In researching this episode, I came across some disturbing facts. Among them, there are 2.5 million weddings each year in the US, and the average wedding produces 400-600 pounds of trash! Yikes. That is a LOT of clutter going into our landfills. I know that environmental stewardship can be overwhelming. It’s easy to feel like you, one person, couldn’t possibly make a difference in protecting our planet from waste, carbon emissions, and greenhouse gasses. And you’re right. One person doesn’t make a huge difference. But thousands of people who are ALL committed to doing their small part DO MAKE A DIFFERENCE. Our choices when taken as a community can make a huge impact. If 1,000 of you can cut back on the waste your wedding produces, that could mean 400,000 pounds of trash that don’t hit a landfill. HUGE! This is an idea I touch on a lot here on the podcast, for a variety of reasons. Today, let’s look at the environmental perks of keeping your ceremony & reception in the same spot. You’re keeping shuttle busses and countless cars off the road by leaving your 100+ guests in the same spot for the ceremony & reception. You’ve heard in past episodes that I love the convenience of weddings that take place in one location. The environmental perks are just one more reason to consider this as you’re shopping for a venue! Consider each element of your wedding under the lens of recycle, reuse, and reducing waste. Your guest favors can be local consumables like soy candles, honey, a clip of succulent plant, or a seed packet. Consider this over manufactured items that have been mass produced, delivered from overseas, and may end up being tossed in the trash. When planning your flowers, think of seasonal blooms that can be purchased from a local farmer’s market, or simple greenery snippets. Consider using potted plants that can be taken home and planted to enjoy for years and years to come, or sent home with your guests as a gift. If you are using more traditional wedding flowers, make a plan to donate them for a second use after your wedding – nursing homes and hospitals would love to share your beautiful blooms with their patients & residents. Another detail to consider is cutting way back on your paper invitations. Instead of having multiple enclosure cards and inner envelopes, send a simple invite in a simple envelope. 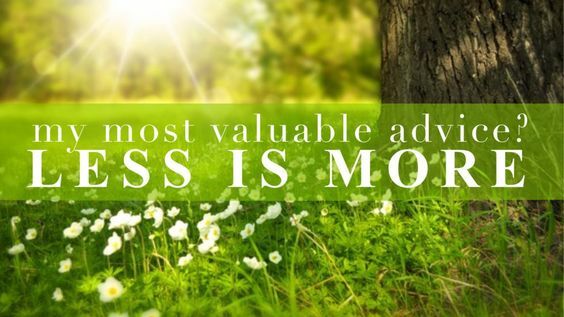 Remember, less is more! When I wrote this show I thought about how much paper was in a wedding invitation I recently received, and in my head I multiplied that by 100 guests, and 100 of your listening – it really inspired me to talk about this, because that is a lot of paper! Remember the stat from before, wedding invitations alone create enough paper to cover Manhattan – just think about which of those enclosure cards & envelopes are truly necessary. General decor tip – instead of buying things new, look on local resale sites like craigslist to see if you can purchase something used from someone else. This will be a money saver for you, and will also encourage less consumption, and less waste. We talked about the green wedding details that you can tailor to be earth friendly like your favors & flowers, may I also suggest that you simply skip it! Omit favors, fancy confetti, lots of excess decor. You will save money, and you will also save a lot of waste. You probably won’t be able to host a wedding with zero waste, but cutting down from the average 400 or 600 pounds of trash is a significant contribution. I realize this is not for everyone, but consider going vegetarian for the meal, and use a caterer who practices farm to table, and uses local organic ingredients. This style of catering will be more expensive, and I understand that many wedding budgets simply don’t have room for this. Some other ways you can make an impact with your meal are to use biodegradable plates and napkins for an informal meal. I did a quick google search for biodegradable wedding plates and was shocked by how many affordable options came back. One wedding dress uses an awful lot of material, chemicals, and potentially questionable labor sources. If buying a brand new dress is something you could skip, you can consider renting a dress, or wearing a vintage one from your family. 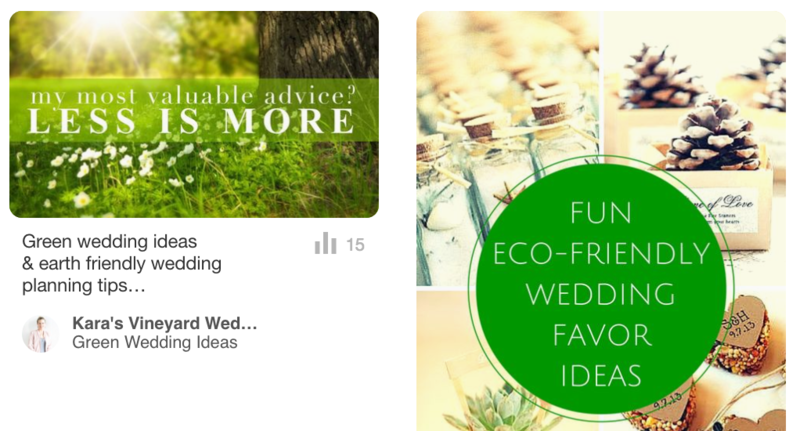 Follow the “Green Wedding Ideas” board on Pinterest! Lots of us have been living with our fiance prior to the wedding, and have a solid base of housewares and all the things we need – rather than register for things that you may not end up using or needing, ask guests to donate to an earth-friendly charity on your behalf in lieu of gifts. Last thing before we go, be sure your jewelry is eco friendly & conflict free. Consider recycled gold and skip the devastating effects of mining on the earth. You can ensure your diamonds are certified and from conflict-free mining sources. There are many resources to use, see www.diamondfacts.org for more information. Another idea is to use synthetic stones, or vintage stones from an existing piece of jewelry in your family. 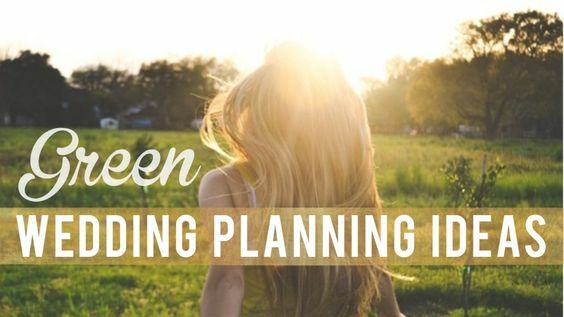 We covered a LOT in today’s green wedding episode, and I hope you can take away one or two “green wedding” tips to incorporate into your own wedding planning! Today’s show is sponsored by our friends at TacBoard. Learn more & save 15% on your wedding live stream photo gallery! ← Who Does What in the Wedding?